There are so many reasons why I love watching anime. So many that I would like to talk about one of the reasons. Watching anime is not all about enjoying what you're viewing, sometimes it is about learning new things and evolving as well in the real world. Well, there are some anime that you can't put into life but there are plenty out there especially those that falls under slice-of-life genre. March comes in like a lion may not be a new anime for me but a new game (shogi) for me to look into. From the ranking system down to its gameplay, you can say that shogi is different yet the same with chess. 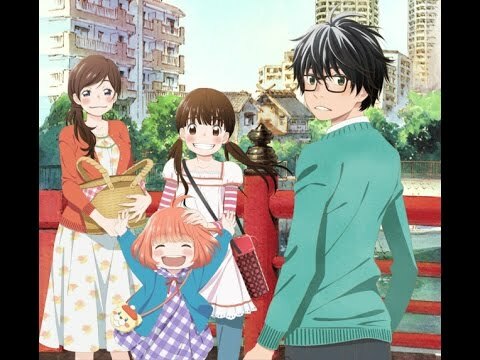 3-gatsu no Lion is the perfect blend for every anime enthusiast. The mixture of emotion on each chapter on every episode is what makes it perfect for me, The dark experience of Rei from his past and his character as a shogi players combined with the love, tender and care of Kawamoto sisters makes the series worth watching in the anime screen. Chica Umino is indeed a genius when it comes to writing these kind of comedy drama stories. She scares us, breaks our hearts but at the same time makes us laugh while enjoying her content.